Hi! 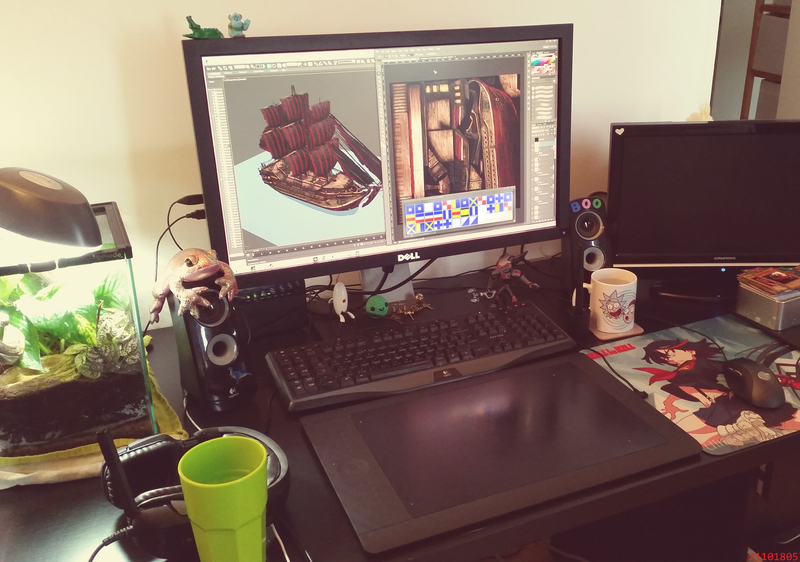 I’m Alex Shapland, resident 3D artist for Abandon Ship. I’m contributing 3D assets, textures, UI, animation and some concept work. 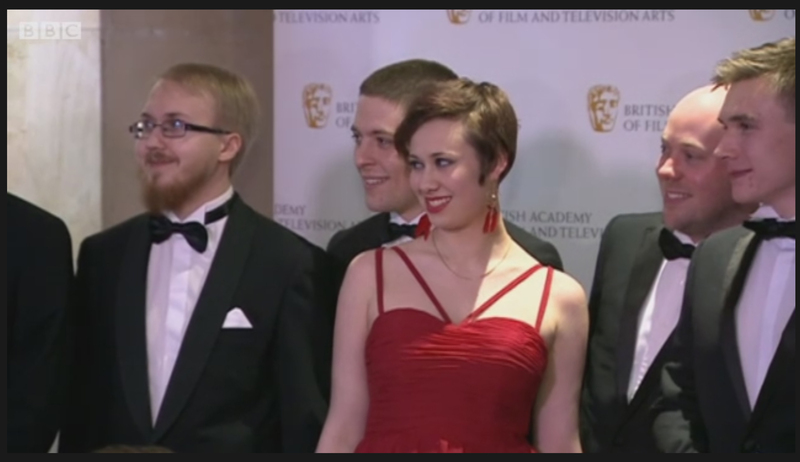 It’s not every day you get to go to the BAFTA’s whilst still in Uni! We were nominated for our survival horror game ‘Project Thanatos’ which we made over a period of 3 months up at Abertay University for DARE. I graduated class of 2013 from Staffordshire University with a Dare to be Digital 2012 first place award, second place at Make Something Unreal Live 2013 and a BAFTA ‘Ones to Watch’ nomination under my belt. I went straight into freelancing as a chance to work on some passion-driven projects with like-minded people, and have been doing so ever since. My first contact with gaming was when my family bought a Sega Megadrive – we only had three games: Sonic 2, Desert Strike and Zany Golf (I still remember screaming at the TV when the floating burger sat on the golf ball and I lost my hole in 1). Though I loved these games, and clocked too many hours playing them, it wasn’t until Crash Bandicoot 2 that I decided making games was what I wanted to do with my life; specifically after blitzing the gold gem on Level 11 on New Year’s Eve. It’s a vivid memory. I have so many copies of each game – I tend to lose them, buy more in a panic then find the old ones. Better safe than sorry? Drakan was an amazing game too – being able to fly on a dragon in what I remember was a relatively open world was life changing. I then began a strong, loving and long term relationship with PS1 platformers. Spyro, Crash Bandicoot, Rayman, Bugs & Taz Timebusters… the list goes on. These games will always be my favourites, and even now I tend to return to them rather than pick up something new from my endless list of games-I-need-to-play. The release of the PS2 brought with it Ratchet and Clank, Final Fantasy X and more Crash + Spyro games. No real deviation here, FFX left a pretty lasting impression in terms of storytelling and I was easily swept up into the beauty of the Final Fantasy universe. PS3 brought 250+ hours of Dragon Age Origins and DA2, many many hours of jumping off buildings in Prototype, DMC combos, road rage in Need for Speed Shift and even more Ratchet and Clank games. My other loves go out to Journey and Bloodborne (100% complete, proudest gaming achievement to date) with a special shout out to dear Dragon Age Inquisition for taking days and days of my life and becoming the only source of conversation in the house for a good 6 months. I actually went out and bought a PS4 with the sole intention of being able to play DA:I on it. 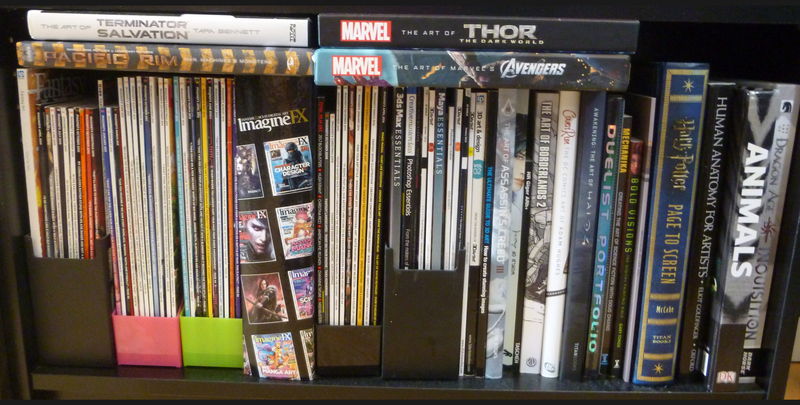 1 of 3 Shelves of art books and magazines. PC gaming happened around the third year of uni when I finally had a ‘Proper’ PC that could run games a bit fancier than Zoo Tycoon 2 or The Sims (We’re talking 2012 now, so I guess I was a bit late to the PC scene). I got a copy of Crysis second hand from my mother, Portal and Portal 2 on Steam and a copy of Borderlands 2 with my PC. Borderlands 2 is probably one of my favourite games of all time, I’ve clocked nearly 400 hours and I’m still not bored of it. For me it’s a perfect mix of artsy, fast-paced and funny, and being multiplayer is a huge bonus too. PC was also a window to the Indie scene, and games like Antichamber and Thomas Was Alone instantly shot up into my favourite games list. 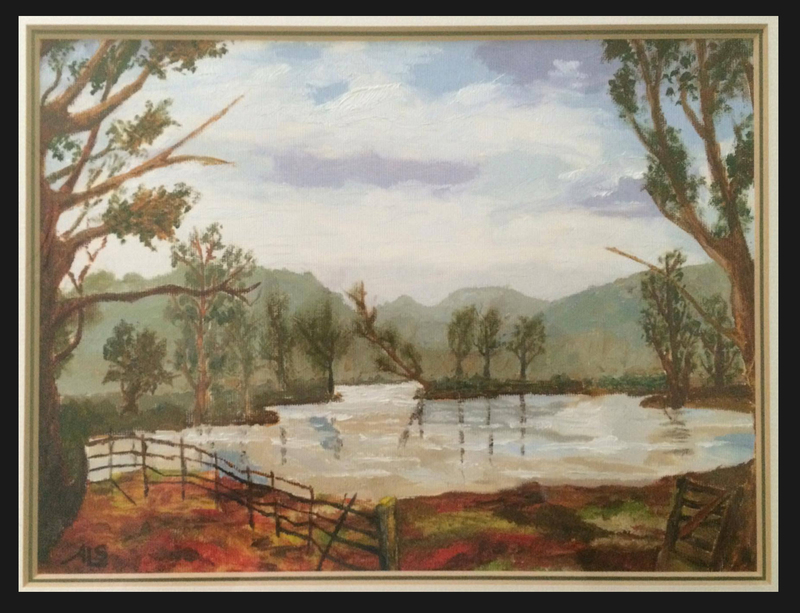 I painted this landscape in oils when I was 10 – I was interested in the arts from an early age. Art has been my foremost passion through life; I studied fine art through to A-Level, favouring traditional media such as oil paints, acrylic and pencils and didn’t add digital media to my skillset until university. I probably drove my art teachers mad trying to shoehorn game and comic influences into all my projects but where there’s a will, there’s a way! I am always keen to try new creative techniques and take influence from a range of media, films, music, games, art, literature and science. Outside of work I also love making props, costumes and more hands-on art forms too. One day I hope to work on a game about vampires in space. My workstation, feat. the Mourning Geckos.